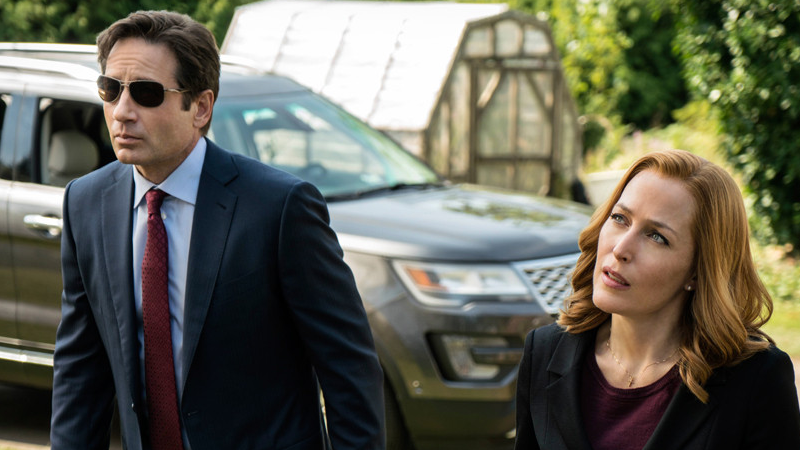 Mulder and Scully’s newest adventures might be coming to a close on TV tonight, but they’re getting more stories to tell in a duo of new Young Adult novels... or at least their teenaged versions are. Sadly—or thankfully, depending on your point of view—these books won’t see teen Mulder and Scully team up for some sort of Famous Five-esque teenage X-Files series. Instead, the books follow young Dana and Fox in 1979. In X-Files: Origins, the two teens, yet to meet, find themselves thrust into separate incidents that set them on their paths to joining the FBI later in their lives. Mulder’s book will be called Agent of Chaos and be written by Kami Garcia, while Scully’s, Devil’s Advocate, will be written by Jonathan Maberry. No further details were released, other than that the late 1970s setting is meant to be emblematic of the time period’s fascination with government conspiracies like the fallout of Watergate, as well as occult practices and serial killers like Lawrence Bittaker and Roy Norris. Presumably the books won’t just be about teen Mulder complaining about his sister being taken by aliens or Scully doing a buttload of revision for her studies and med school prep (which would be kind of hilarious, but not great book material). But it’s interesting to see Fox pushing X-Files across various media platforms—and, considering Garcia and Maberry’s books are specifically Young Adult stories, targeting an audience that didn’t grow up watching the original series.